Learn about Lasik eye surgery and other options you may have to get rid of your glasses. Restore the crystal clear vision you once had with our cutting-edge laser cataract treatments. Glaucoma can be diagnosed and quickly treated using cutting-edge lasers at the Yaldo Eye Center. The Yaldo Eye Center's revolutionary treatments can get rid of irritating dry eyes for good! Schedule a FREE Lasik eye surgery Michigan evaluation to determine whether you’re a suitable candidate for Lasik and to help you find the procedure that will work best for your condition and lifestyle. Tired of wearing your glasses? Laser eye surgery can fix this problem. We’ll free you from the cost and inconvenience of eye-wear so you can stay active without glasses or contacts. As we enter our 40’s, our reading vision begins to deteriorate. There are many advanced vision correction procedures that solve this inevitable condition. Yaldo Eye Center doctors will explain your options. Cataracts develop when the natural lens becomes cloudy with age and causes blurriness, dimness and other vision issues. The Yaldo Eye Center can restore crystal clear vision to cataract patients. Dr. Yaldo was Michigan’s first to perform CATz Lasik, the most precise LASIK treatment available in the world, surpassing even the most advanced wavefront-guided Michigan Laser eye surgery treatments. Read Story. In over 95% of cases, CATz topography-guided Lasik eye surgery produces “Super-Normal Vision”, which is defined as better than 20-20 vision! The new topography-guided Lasik technology — known as Customized Aspheric Treatment Zone (or “CATz”) — maps the patient’s cornea by measuring nearly 7,000 points of light, versus the approximately 200 points of light measured with traditional wavefront technology. While just a small number of surgeons in the U.S. are currently trained and certified to offer topography-guided LASIK, the procedure and related technology have been used widely for more than a decade throughout Europe, Asia, and South America. “CATz is by far the most precise LASIK technology available, and it represents a huge leap forward,” notes Dr. Yaldo. “I am proud to have played a role in its development over the past several years. I’m also honored to be one of the first surgeons in the nation to offer what is now the diamond standard for LASIK eye surgery.” – Dr. Yaldo. 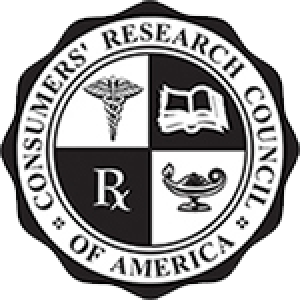 Dr. Yaldo has been selected as one of America’s foremost Lasik surgeons for 3 consecutive years by the Prestigious Consumers Research Council of America. Jim came into the Yaldo Eye Center to undergo Monovision Lasik from Dr. Yaldo and was euphoric about his decision. Schedule an appointment today to see if Monovision is the best procedure for you. Stick came to the Yaldo Eye Center to try out the new CATz Custom Lasik procedure which Dr. Yaldo was the first in Michigan to perform. Find out if CATz is right for you with a free evaluation! Karen Savelly came to the Yaldo Eye Center and underwent Multifocal Lens Implants, an advanced vision correction procedure that left Karen with the crisp clear vision she has always wanted. Bobby came in when he just couldn’t stand his terrible cloudy vision any longer. After seeing Dr. Yaldo and undergoing Multifocal Lens Implants his vision and his life would never be the same again. In this interview, Jim O’Brien of WCSX-FM explains how a Mono-vision Lasik procedure from Dr. Yaldo solved both his reading and distance vision problems. Find out if you are a candidate for today! CATz Custom Lasik technology provides eye surgeons with uniquely detailed topographic maps of a patient’s cornea prior to treatment and an additional map of cornea depicting how it should appear after laser vision correction. These topographic maps enable the Lasik surgeon or ophthalmologist to easily correct refractive errors in the eye with unparalleled precision and accuracy. All types of Lasik eye surgery Michigan treatments consist of correcting a refractive error by reshaping the cornea allowing light to more accurately enter the eye. Operating an excimer laser, the surgeon directs pulses of invisible ultraviolet into the eye to correct the shape. Each pulse of the laser removes a microscopic amount of corneal tissue. When treating nearsightedness, one of the most common refractive errors, the laser pulses are fired in a specific pattern designed to flatten the patient’s cornea. The ultraviolet light emitted by Excimer lasers does not penetrate through the flesh of the eye, sparing the lens, retina, and the iris from harm. Similar to traditional Lasik eye surgery, CATz Custom Lasik utilities “manifest refraction” measurements when planning out the direction of the laser in the treatment of refractive error. Tired of constantly spending money on optometry visits, glasses, and contact lenses? After getting Lasik done by the Michigan laser eye surgery specialists, you won’t need to spend another dollar of your hard earned money on contacts or glasses for a very long time if ever again. On the contrary, if you undergo Lasik eye surgery Michigan after age 50, you may find yourself requiring reading glasses to complement the results of your surgery or opt for a more expensive procedure than Lasik such as Clear Lens Implants (ICL). Either way, Lasik or any similar corrective eye surgery available for getting rid of glasses will likely result in a plethora of savings and practicality for you. Since its founding in 1993, Yaldo Eye Center has been Michigan leading eye care center for cutting-edge Lasik, Glaucoma treatment, Cataract removal, and all other eye-related conditions. Today, Yaldo Eye Center has served patients all over Michigan and the Midwest through our locations in Farmington Hills and Garden City. After CATz was introduced to Michigan by Dr. Yaldo, it has become the treatment option of choice or those looking for pristine vision correction. Patients interested in learning more about CATz topography-guided LASIK should call (800)-398-EYES and set up a Free Evaluation at the Yaldo Eye Center today. Since Dr. Mazin K. Yaldo, MD founded the first Yaldo Eye Center location in Farmington Hills in 1993, his surgical skills and fascination with the accuracy and effectiveness of refractive surgery have fueled his emerging status as one of the most prestigious Lasik surgeons in the Midwest. After spending years undergoing the most specialized education and fellowships, Dr. Yaldo’s status as an expert in the field of refractive surgery and advanced vision correction was quickly established and he quickly became a leader in Lasik eye surgery Michigan. Dr. Yaldo is a Board-Certified Ophthalmologist! Dr. Yaldo is an expert in the field of laser corrective surgery! Yaldo Eye Center has performed over 30,000 Lasik Procedures! Dr. Yaldo is a board-certified ophthalmologist and highly experienced Lasik surgeon, who at his Lasik Detroit clinic, continues to lead a team of talented doctors, optometrists, and surgeons who are passionate about restoring vision and changing the way you see the world. The team at Yaldo Eye Center are deeply committed to providing all who visit with individualized care and all the information they need before, during and after surgery in order to have a comfortable and positive experience. The Yaldo Eye Center does only serve Detroit Lasik eye surgery patients, but we also treat numerous Lasik Grand Rapids and Ann Arbor patients. Today, each of the Yaldo Eye Centers works closely with patients to assess their vision correction needs and provide the most individualized yet advanced vision solution options to every patient. At the Yaldo Eye Center, It is our mission to stay ahead of the latest technology and the most advanced techniques to treat nearsightedness (myopia), farsightedness (hyperopia), presbyopia, cataracts, dry eyes, and astigmatism. How Much Does Lasik Eye Surgery In Michigan Cost? Patients invest an average of $2,200 per eye in Michigan. Lasik eye surgery is an extremely individualized procedure that varies from case to case. Traditional Lasik (Blade Lasik) can cost run patients just over $1,000 per eye, while custom, all laser Lasik can cost 50% or more than traditional Lasik depending on your degree of refractive error. A handful of LASIK patients, such as those who undergo Lasik at an older age or have a very high degree of refractive error, may even need additional treatment or touch-ups after their procedure. Beware of sales-like TV and radio advertisements that make bold claims for Lasik such as “$300 an eye” because if it sounds too good to be true, it is. Most of these unethical tv ads lure you into a clinic only to find out that less than 1% of patients qualify for the advertised pricing. “You are only born with one set of eye’s and they are not something we recommend patients try to bargain shop on,” notes Dr. Yaldo. To discover the costs of having Lasik Eye Surgery Michigan to correct your vision call 1-800-398-3937 and schedule a Free Lasik Evaluation. 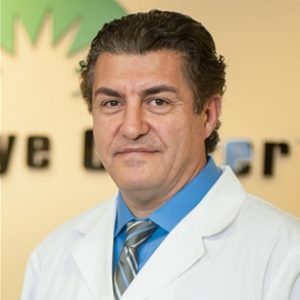 In June 2014, Dr. Yaldo of Yaldo Eye Center was one of the first to perform the new FDA approved topography-guided LASIK procedure, introducing a new generation of laser technology designed to be far more precise and with fewer night vision side effects than even the most advanced Wavefront-guided LASIK. “CATz is by far the most precise LASIK technology available, and it represents a huge leap forward,” notes Dr. Yaldo. “I am proud to have played a role in its development over the past several years. I’m also delighted to be one of the first surgeons in the nation to offer what is now the new gold standard for LASIK. CATz treats patients with nearsightedness and astigmatism (blurry or distorted vision caused by an irregular curvature of the eye). It is also the first LASIK technology to demonstrate improved night vision after surgery (compared to using glasses or contact lenses). Patients interested in learning more about CATz topography-guided LASIK should call (800) 398-EYES and set up a free evaluation. Like conventional Lasik, this is an outpatient procedure. You’ll receive topical anesthetic drop and possibly a Valium. Your recovery will be short and relatively comfortable. Most patients are ready to resume normal activity within just a day or two. What is Michigan Cataract Surgery? In a brief explanation, A cataract is a unique condition that affects the clarity of the eye lens, resulting in a clouding effect. This common medical condition dramatically alters the vision of the patient. In the circumstance that it is left untreated, it can potentially lead to blindness in a patient. Typically, Cataracts will lead to poor vision at night, blurry eyesight, glare, double vision, as well as present challenges in distinguishing contrast changes and colors. It is widely known that Cataracts is a common condition for people ranging between the ages of 55 and older. There are no known causes of cataracts, even though aging seems to be a contributing factor. What is known is that hypertension, diabetes, being overweight or obese, corticosteroids in prolonged usage, UV radiation exposure, as well as eye injuries or inflammation that were caused by previous situations. Typically, glasses, as well as improved lighting, can assist in coping with cataracts. Even with that being understood, Michigan cataract eye surgery will eventually be needed in order to eliminate this. Here at the Yaldo Eye Center, Michigan cataract surgery is an effective and safe procedure that shows excellent results. So far in our history, over 10,000 cataract procedures have been successfully performed at the Yaldo Eye center. Michigan cataract eye surgery at the Yaldo Eye Center eliminates the need to come out of pocket for hospital visits and care. Our Michigan laser cataract eye surgery is a procedure that will only take about 30 minutes of your time. Recovery from this form of Michigan eye surgery is typically fast, pain-free, as well as comfortable for each patient. We take great care when it comes to any Michigan eye surgery procedure. If the circumstance requires, the Yaldo Eye Center can set up a transportation method so that you or your loved one can make it to their procedure. Michigan eye surgery financing options are available as well if you inquire about them. Michigan cataract surgery has come a long way since your elders wore omnipresent & thick eyeglasses after Michigan cataract surgery. The implantation of intraocular lenses in Michigan laser cataract surgery is one of the safest eye procedures known in the world, with a 98% success rate, it is hard to argue. What is Michigan Glaucoma Treatment? – Essentially, Glaucoma is fluid pressure that has developed in excess inside a patients eye. – Optic nerve damage, as well as loss of vision and even blindness, can occur if left untreated. – The eye drainage system is not functioning properly which leads to the build-up of pressure caused by fluid. It is widely understood that Glaucoma can happen regardless of any age. For people over the age of 40, Glaucoma is one of the leading causes of blindness. Glaucoma can occur in several different forms, they are able to be diagnosed by a board-certified Michigan Glaucoma treatment specialist at the Yaldo Eye Center. – Open-angle glaucoma is widely regarded as the most typical type of glaucoma. Open-angle glaucoma develops gradually over time. First, the loss of peripheral (side) vision will occur leading to the loss of central vision. There are typically no early warning symptoms of this open-angle glaucoma. Eye examinations which consist of pressure checks of the eye are critical, especially for those over the age of 40. – Some of the least typically forms of glaucoma are Narrow-angle glaucoma or angle-closure glaucoma. Rapid onset of severe & sharp pain around the eye are common symptoms. The occurrence of nausea or vomiting, blurred vision, and halos around lights are also commonly observed. It is essential to medical care as fast as possible to reduce pressure in the eye and alleviate the potential for permanent vision loss. – Eye injury, hemorrhages, certain drugs, inflammations or tumors that restrict drainage channels in the eye can cause secondary glaucoma. Glaucoma diagnosis early on is essential for the preservation of your vision. If glaucoma is diagnosed and treated in its early stages, it can be controlled. Currently, there is no known cure for this medical condition. Glaucoma can be detected by a Michigan glaucoma treatment specialist with a simple eye pressure test. To reduce pressure in the eye, eye drops are frequently prescribed by Michigan glaucoma treatment specialists. A Michigan eye surgery specialist at our clinic will treat each glaucoma patient like family and ensure that we determine what works best for you and your glaucoma condition. What is Michigan Dry Eye Treatment? At any age, dry eye syndrome can happen. Dry eye syndrome is typically found to be more common in women, especially after menopause. Patients who have recently had Michigan laser eye surgery, especially Lasik eye surgery Michigan can commonly experience dry eye syndrome. This is a natural side effect of any Michigan laser eye surgery procedure and will subside with time. Dry eye syndrome is essentially a decreased tear production from the small tear glands in a patient. These tear glands produce a lubricating and moisturizing secretion. Around 400 drops of tears are produced by tear glands in the eyes of a normal person each day. Reduction of tear production is common with aging. With that being understood, the average 18-year-old will have approximately 60 percent more tear production than the average 65-year old. Dry eyes can also be caused by Vitamin A deficiency, pregnancy, arthritis, environmental changes, contact lenses, and specific medications. For those suffering from dry eye syndrome, artificial tears are often the first line of defense. There are also anti-inflammatory drops and steroids such as Restasis that can be purchased over to counter to treat dry eyes. A change in your diet to include more omega-3 fatty acids is also recommended for those suffering from dry eye syndrome. Dry eyes are treated in phases at the Yaldo Eye Center. If the first line of defense, being anti-inflammatory drops, do not provide you with the much-needed relief, collagen plugs are the next step. Collagen plugs work by plugging the eye tear ducts in order to prevent your eyes natural lubricants from draining rapidly, holding the fluid in your eye, providing tremendous relief to patients. The “grain of rice” sized plug is gently inserted into the tear ducts without any pain or discomfort to the patient. 7-10 days later, the plugs dissolve completely and the effects are gone. If the patient’s week-long experience with plugs was positive, permanent plugs are then inserted. If you are suffering from the effects of dry eye syndrome, especially in the winter months, our board-certified ophthalmologists are here to help you live your life to the fullest. Dry eyes can even appear as a side effect to Lasik eye surgery although dry eyes caused by Lasik often subside within a matter of 1-3 months. Flashes and Floaters are an issue that can greatly irritate your day to day vision. Flashes are small flashing lights or even lightning-like streaks in your field of vision than cause you to see what people often refer to as “stars”. This is common when people have recently experienced an impact to their head. After a head injury, you may see flashes in your field of vision for weeks, or even months depending on the severity of your injury. The medical cause of why flashes occur is when the vitreous rubs or pulls on your retina. As people age, it is common that flashes appear in their vision. Floaters can be described as small specks, circles, dots, or even cobwebs in your sight. These phenomenons are caused by clusters of cells floating in your eyes vitreous fluid. The shadows that these cell clusters portray create the “floaters” in your vision. Dots, specks and sometimes flashes of light in your field of vision are termed flashers or floaters. They can be experienced at all ages, often experiences as we age. Generally, “floaters” and “flashes” do not indicate a serious eye problem. Commonly, flashes & floaters do not indicate any serious eye issues. The natural process of aging, trauma to the head, and even Type II Diabetes can cause flashes and floaters by causing the fluid in your eye known as vitreous fluid to shrink and tug away from the retina. This can cause clusters of heavier gel to form within the vitreous layer. They may often appear as specks, lines, or even cobwebs in the field of vision. Speak with a Michigan laser eye surgery specialist at our eye surgery clinic today. Although uncommon, the vitreous tugging away at the retina may tear the retina itself and can even cause bleeding to occur in the eye. In the worst of cases, retinal detachment is also possible. If you experience any symptoms of flashes and floaters it is critical that you speak with a Michigan eye surgery specialist at the Yaldo Eye Center immediately to ensure your situation does not put your vision at risk. If you are looking for the top plastic surgeons in Michigan visit surgeongate.org, they are your gateway to cosmetic surgery!